Keeping down expenses is one of the best ways to maximize your company’s profits. For instance, investing in a high-quality roofing system can help you save money in the long run. Plus, a resilient commercial roof is designed to protect your daily operations from the elements for a long time. The big question is, how can you tell if you have paid for the right roofing materials for your business? RTN Roofing Systems, a roof commercial replacement company, discusses the qualities to look for in a commercial roof. What’s the worst thing that rain can do to your business? Heavy or even slight rainfall can result in moisture damage. Leaks dripping from a subpar roofing system can easily impair different components in your building. Electrical devices can incur damage, too. Even worse, a damaged property can affect the safety of your personnel and even clients during their visit. Note that a resilient roofing system is more reliable in keeping water out and standing up against moisture damage. Strong winds can cause trouble for weak commercial roofing systems. A poorly built commercial roof won’t be able to withstand the gusts of wind, which can tear off the entire roofing sections. With proper installation, however, even lightweight metal roofs will be able to withstand hurricanes. Get in touch with your trusted roof commercial replacement contractor for your upcoming roofing project. A resilient commercial roof shouldn’t only resist moisture and wind, but it should also be tough enough to resist impact damage due to debris or hailstorms. Without an impact-resistant roofing system, large hailstones or debris will punch holes through the surface and expose the more vulnerable parts of your roof to moisture damage. 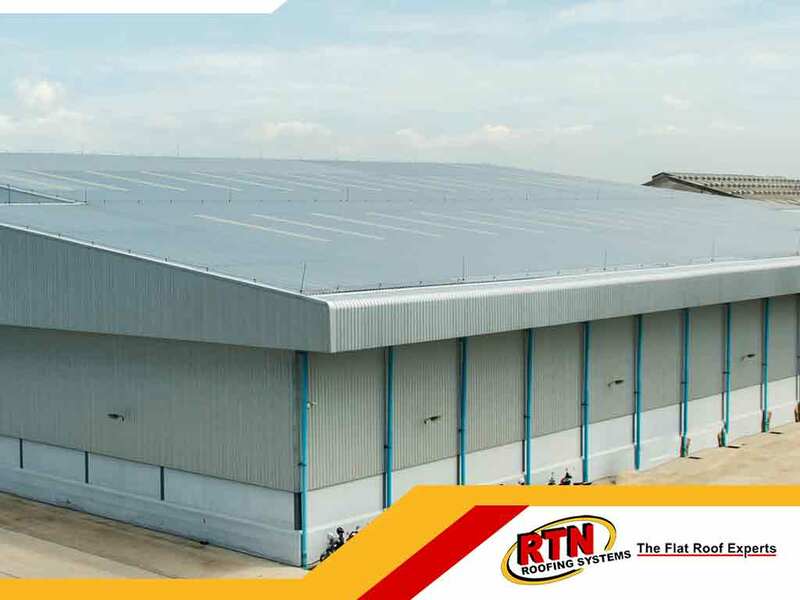 Turn to RTN Roofing Systems for your roof commercial replacement. We offer high-quality roofing materials that will help protect your business establishment from the elements. Call us today at (303) 578-1257 or fill out our online form to schedule an appointment. We serve residents of Colorado, including Denver, Loveland, and Colorado Springs, CO.